Key West Real Estate Now! See the opportunity. See the experience. See the pros. Seaport Realtors -- Your Key West Residential, Commercial and Investment Resource. Instead of the usual written blog, today I'm going to do something a little different and share a video with you. I had this video created to show prospective clients a little about the life here in the "Fabulous Florida Keys." I hope you enjoy it! I'd love to hear your thoughts on the video. Would you like to live here? Which type of home would you choose? Which neighborhood? I can help you with all of these choices. 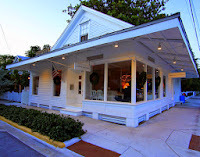 I've lived in Key West for more than 15 years and I've been helping folks buy and sell homes here for 13. Call 305-304-1708, email or leave your comments below. Have a great day! Even Hemingway Would Have Loved This Place! ©2013 Steve Schwartz. Picture Window theme. Powered by Blogger.